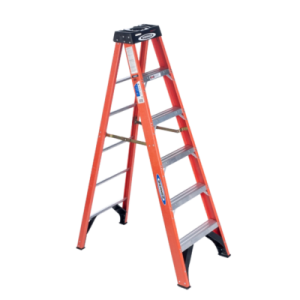 The NXTIA14 Fiberglass 14′ single sided Step Ladder is the pro’s choice for the jobsite. 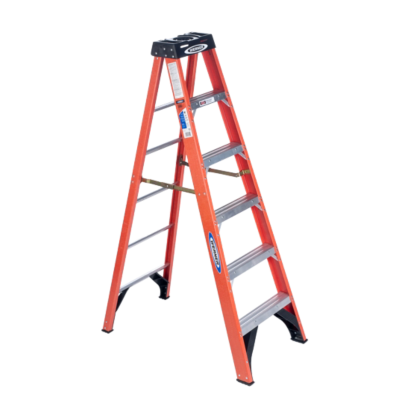 Multi functional HolsterTop with tool lasso sockets to keep tools organzied and safe on the ladder top. Comfortable slip resistant steps. The EDGE® bracing helps prevent rail damage. Great for working around electricity.